For an upcoming Dairy Processing Plant (DPP) in the Southern Highlands of Tanzania, there is a need for a Production Manager. S/he must possess the desire and ability to provide leadership and supervisory coordination in all aspects of production. Good contextual knowledge of local issues, community priorities, organizational relationships, social and cultural constraints and realities, and environmental conditions. Only short-listed applicants meeting the above requirements will be contacted. 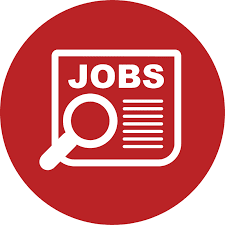 For an upcoming Dairy Processing Plant (DPP) in the Southern Highlands of Tanzania, there is a need for a Marketing & Business Development Manager. S/he will be responsible for the development of the DPP consumer brand portfolio in the Tanzanian market and achievement of sales and distribution targets. Setting business and strategy development: that will establish DPP’s market size and target customer, and lead new product market introductions and growth. Knowledge of customer service, sales principles, and concepts, and key-customer relationships in Tanzania. Ability to create reports and metrics to track results and prepare and deliver executive presentations. Results oriented and KPI driven. Proficient in Microsoft Excel, Word, PowerPoint and word. Interested candidates who meet the above qualifications and experience should email their applications electronically through the email address: dppjobs2018@gmail.com with the position’s title as the subject line of the email not later than December 15, 2018. Please attach your cover letter and CV/Resume (as one document – labeled with your First Name and Last Name; and indicating your Current and expected salary, and names and contacts of two referees one of whom should be the previous supervisor).